Sqoop with Postgresql Download the Postgresql connector jar and store in lib directory present in sqoop home folder. List the database , sqoop-list-databases --connect jdbc:postgresql://localhost:5432/ --username postgres --password ""
sqoop-list-tables --connect jdbc:postgresql://localhost:5432/ --username postgres --password ""
STRING Max size is 2GB. The complex data types include Arrays, Maps and Structs. These data types are built on using the primitive data types. 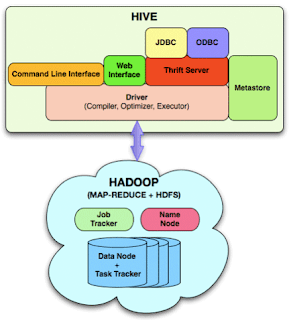 What Hive Does Hadoop was built to organize and store massive amounts of data. A Hadoop cluster is a reservoir of heterogeneous data, from multiple sources and in different formats. Hive allows the user to explore and structure that data, analyze it, and then turn it into business insight. How Hive Works The tables in Hive are similar to tables in a relational database, and data units are organized in a taxonomy from larger to more granular units. Databases are comprised of tables, which are made up of partitions. Data can be accessed via a simple query language, called HiveQL, which is similar to SQL. Hive supports overwriting or appending data, but not updates and deletes. 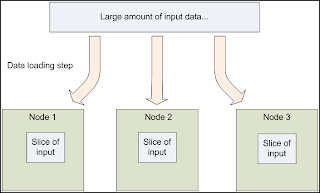 A tool used to transfer data between Hadoop and relational databases. Sqoop reads the column information from the database and generates Java classes that represent that data for you to use in Map/Reduce jobs. Gnu/LinuxJava 1.6.x (preferred)SSH Download the latest version of Sqoop for the version of Hadoop you downloaded. Download the mysql j connector jar and store in lib directory present in sqoop home folder. What is Hadoop ? Hadoop is a framework written in Java for running applications on large clusters of commodity hardware and incorporates features similar to those of the Google File System and of MapReduce. HDFS is a highly fault-tolerant distributed file system and like Hadoop designed to be deployed on low-cost hardware. It provides high throughput access to application data and is suitable for applications that have large data sets.